Mum and I spent all day on Thursday July 7th traveling to Florida in anticipation of the launch of Space Shuttle Atlantis at 11:26 am on Friday the 8th. 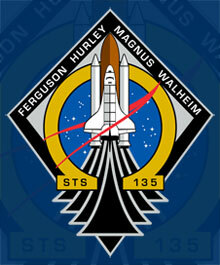 This was the 135th and final launch of the space shuttle program. There is no replacement program. We checked into our hotel in Palm Bay around midnight Thursday (eastern time zone). Friday we awoke at 4:30 am. Our tickets and parking pass indicated we were to arrive by 7 am. Unsure how traffic would be, we wanted to leave an ample buffer for our google maps prediction of 45 minutes travel to be grossly wrong. After a shower, some breakfast in our room, and packing for the day, we were on the road. We arrived at the Kennedy Space Centre Astronaut Hall of Fame around 6:30 we set ourselves up in the north-east corner of the viewing grounds and had a pretty much clear line of sight to launch pad 39A. The weather was sketchy and though it did not rain on us, the pad had intermittent rain all morning. Everything was looking good and all parameters were “go” except the weather. There must be no rain showers within a 20 mile radius of the pad in order for the crew to be able to make a clear Return To Launch Site (RTLS) landing in case of emergency. The forecast reading gave an official prediction of 30% likelihood of launch appropriate weather. 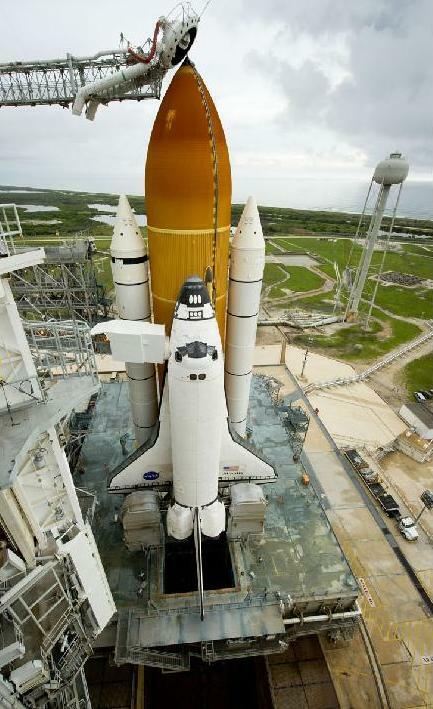 At this point the shuttle is nearly done being fueled with almost 1.9 million liters of liquid hydrogen and oxygen. In short order we are watching the final pre-launch inspections being done as the close out crew arrives to prepare for the arrival of the crew. The crew begins making its way to the shuttle shortly after 8 am. They travel in an ’83 Airstream Astrovan. Over the next two hours the shuttle crew is helped into the orbiter the close out crew ensures everything and everyone within the cockpit is ready for launch. They then very meticulously seal the hatch and do a pressure test to ensure there are no leaks. During this time launch weather compliance likelihood officially increased to 60%. At T minus 9 minutes the official GO/NO-GO for launch is conducted but there is still intermittent rain! A waiver is given for the weather; even though there are occasional showers, they are clearing and will be gone by the time an RTLS event would occur. Less than a minute to go and the tension builds! At about T-45 the main tank Gaseous Oxygen Vent Arm retracts from the top of the main tank. At T-31 everything then stops! The vent arm was not reading as fully retracted! From our location at the we could hear the radio chatter being broadcast live as Launch Control tried to get a visual confirmation that the arm was retracted. After two minutes of checks and double checks, everything was deemed safe for launch and the countdown resumed. 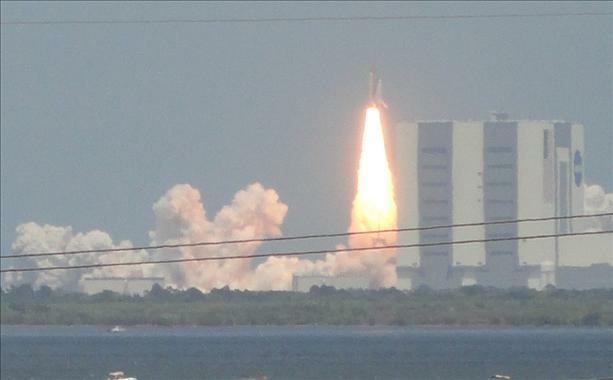 The shuttle is traveling over 100 km/h by the time it clears the tower. A few seconds later when it broke the sound barrier I could feel and hear the shockwave. Once it had disappeared, I had spots in my vision from the intensity of the light from the rocket engines. What a sight. Worth all the anticipation. This entry was posted in Adventures and tagged Atlantis, Florida, Kennedy Space Center, mummy, NASA, Space Shuttle, STS-135. Bookmark the permalink. Reading through some of those wikipedia links, everything is in past tense…. End of an era. Glad you got to see it off. Great point Dan. I realise now I didn’t make that clear (I just added a clarifying line at the top). This is the end of American (and therefore Canadian) human spaceflight for the foreseable future. NASA funding has been eroded and finally slashed to the point of becoming a skeletal entity. I am saddenned by this. I think others should be too. Perhaps I will do a post later this week about why I think this is a loss everyone should mourn. 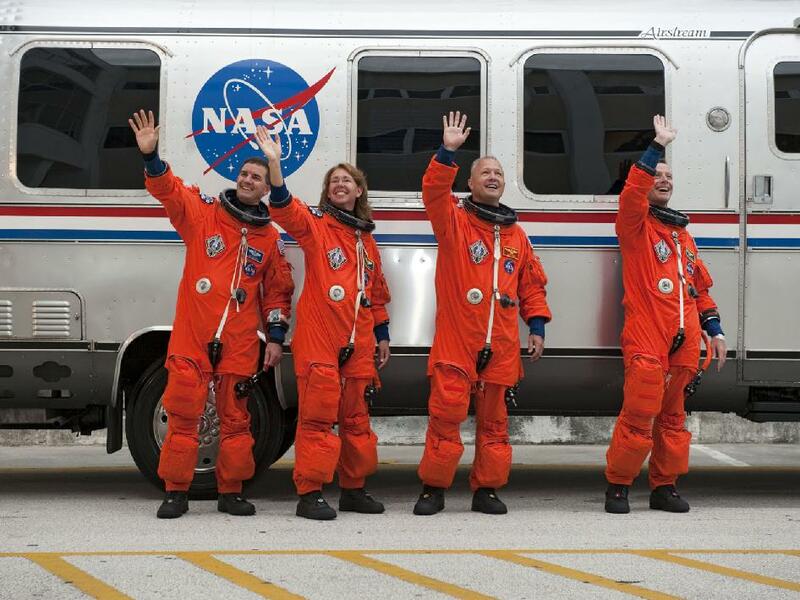 They do intend to rent Russian seats to get to space until a private shuttle is ready. That’s awesome that you drove down there for the launch.